I have to say I am partial to daisies. I had a beautiful bouquet for my wedding flowers of white roses, white daisies and wildflowers. This image just makes me happy. I just love our card. TFS. Very pretty! I love how you colored the image. Gorgeous Colleen! 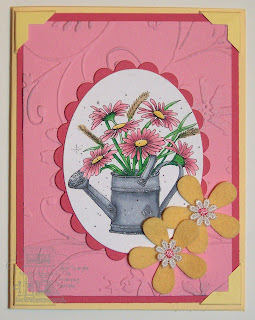 I love all the pink with the splash of gold - I'm partial to flower cards, esp. daisies! Colleen, this card is just beautiful! I like the embossing and colors used! Great job! 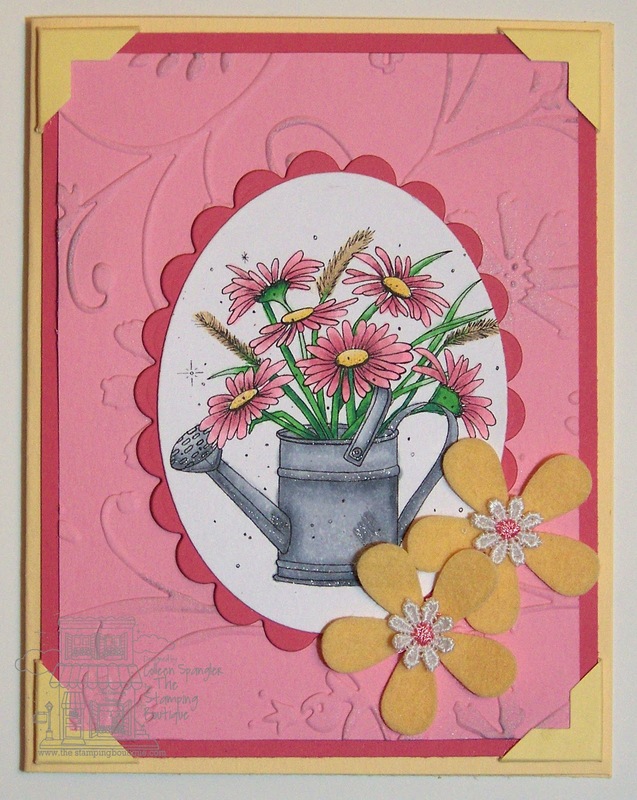 This card is so pretty, I just love the pink daisys! Pink & yellow are wonderful color combo too!